As promised, we are now making this come true! 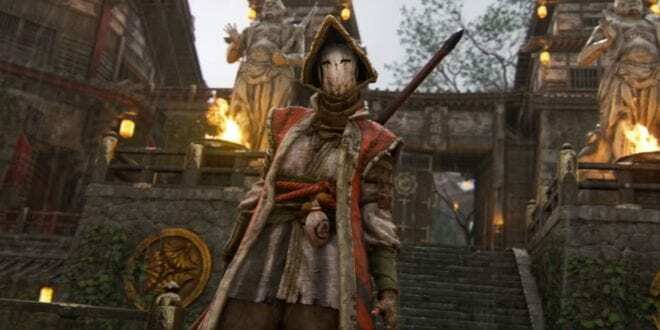 The For Honor’s Orochi class is what you need to feel alive in the game. In that order, we are ready to master the Orochi and make this Guide really easy to understand. We are aiming to tell you some amazing combos too and a lot of movesets to use against every other class in the game. 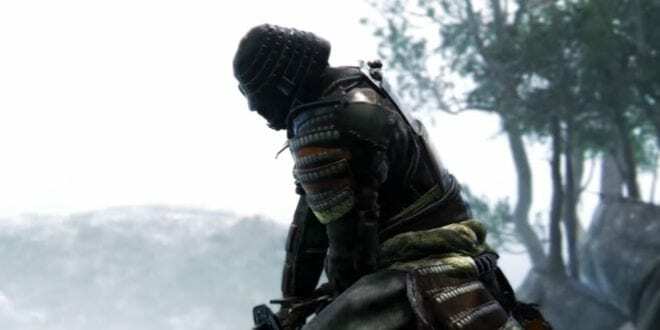 Coming from the Samurai Faction, counted as probably the best Counter class ever, the Orochi will become your favorite. 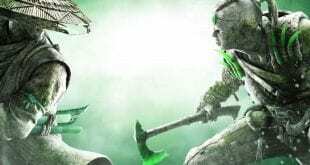 Do you want to learn how to play For Honor’s Orochi class in the best possible way? Follow this guide and you will pretty much succeed. Keep in mind that playing the Orochi class just to get the Ninja feeling won’t do it. Actually, you really need to master it good in order to perform those combos and movesets in the right way. 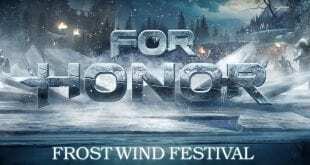 I am pretty sure that after this guide, you will love playing the Orochi class in every single game mode. Actually, they are useful in every single game mode including the dominion. At least, more useful than the Peacekeeper for sure. The Orochi class can be really good in all For Honor game modes. So, stay tuned, there’s a lot for you to read down below. Even though the Orochi is presented as a Counter Class, I can see him as an aggressive class too. You can just go close to the enemy and try to dodge and just light attack or Guard Break the enemy and chain two attacks really fast. But, I prefer to play the countering role as it is really exciting. What kind of playstyle is that? Well, all I do is wait for the enemy to initiate and react appropriately. That’s how you should play the Orochi as it is the most exciting way. Are you ready? 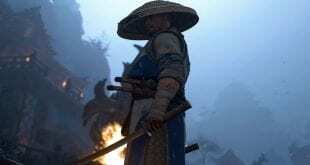 Let’s master the Orochi and feel the Katana together. Note: Keep in mind that Orochi’s Guardbreak and Sideway Dodge (Zephyr Slash) are one of the fastest in the game. Now you know actually what you need to do throughout every single fight, right? These two things are the most annoying and I must say that Orochi should be nerfed soon. He is really overpowered for 1v1 and can pretty much eliminate every other class. What even more annoying, the Orochi have insane fast recovery after he goes down on the ground. So you can block most of the attacks after going down on the ground. Playing against the Warden class might be really annoying, but, you are Orochi and dodging should be the only thing you do against the Warden. Why to focus dodging instead of blocking? Because if you fail to block the first shot of his, the next one will come and it will also be unblockable. Then, a Shoulder Bash or Guard Break may follow afterward, which is going to hit for another 2 guaranteed strikes. This is why you should be focusing on dodging instead of blocking. Now, the best combos against this guy would be: Storm Rush or Lightning Strike, followed by a Zephyr Slash or a Guard Break and two light attacks, you’ll see it in the video. If he tries to initiate an Attack right after the use of a Storm Rush, a Riptide Strike would do just nice. Riptide Strike seems to be working against him really nice. Every Lightning Strike can be followed with the move (Hold the Light attack Button and Click the Heavy Attack button). This will make Orochi to crouch and swing the Katana and it’s totally Unblockable. It’s his zone attack. It will give you a lot of advantage and because you will tear his HP down. However, this attack consumes a lot of your Stamina, so after you perform it focus on Blocking shots and get your Stamina back. You can actually activate Wind Gust, every time he tries to attack you from each side. Just make sure you are dodging towards the side of the incoming attack. Right before the impact, make sure you dodge and hit light attack. Caution: Without matter who you play against, do not go for the Hurricane Blast instead of the Wind Gust because it is not going to work. That attack charges longer than the Wind Gust and you will receive a hit which is going to stop the Hurricane Blast. If you feel that the guy is not going to attack you, sure, go for it. You should be alright if you follow this guide, just make sure you keep distance with him. Also, avoid attacking him from above because he can block it and also receive a chance to attack you once again. That’s what most of the players aim for. So, Storm Rush, followed by Zephyr slash if he blocks it should keep you pretty much safe. Avoid using Riptide slash against the Warden, because that attack is going from the top, and that’s what you want to avoid. That’s pretty much it, you can see our gameplay in the video below. Mastering the Orochi is what you want to do first in order all of these instructions to work. The fight for Honor comes after. Yes, just as like in the previous Peacekeeper guide, this should be an easy matchup for the Orochi class. Just make sure you avoid the Shield Bash and Charging Shield Bash as it will push you away or knock you down and then a heavy attack might follow. Actually, there might be two of those. Well, you can dodge that really easy and use Zephyr Slash. 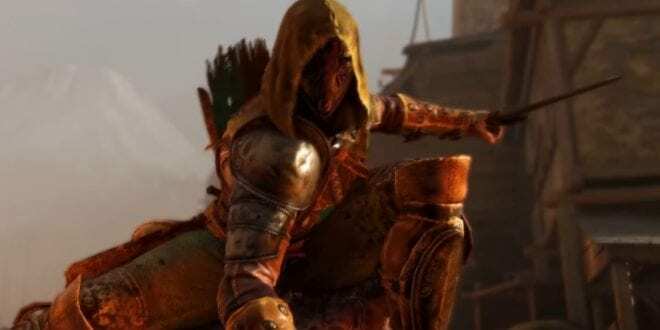 The Conqueror can go into a Full Block Stance which means he will cover all the three guards too. Well, it’s not that scary for you, because you are fast as a lightning, you are the Orochi, remember? It should be easy to fight the Conqueror but keep in mind of those things from above. Because those attacks might be really crucial. What is your job? If he is already close to you and he got Full Block Stance up and running, make sure you use your Guard Break which is going to follow by two fast attacks while holding the Left stick and Right analog stick Up and perform a Normal Light Attacks. Make sure you do only 2 of those because the third one will result in a block. This means activating Crosswind Slashes, without the third one. Assuming you play against an already experienced player, so the third one will be a 100% block. Useful Combos: Lightning Strike or Storm Rush, instantly followed by a Guard Break or Zephyr Slash, followed by another Guard Break and two light attacks. Everything else should be easy to dodge. In the video I am actually trying to perform a Wind Gust, that’s why everything was so bad. I was not focusing dodging. That’s why you can dodge it easy. Dodge towards the side where he attacks with a chance to trigger your Unblockable Wind Gust. I love Wind Gust and that’s what I actually practice these days. It’s so crazy. Follow this guide and you should be pretty much alright. Keep in mind that if the Combo is not working, your Guard Break will easily win this match for you. Full block stance is not going to work anymore. If anything goes wrong and you cannot dodge, blocking will be a lot easier because of his slow attacks. It’s totally up to you. However, the Zephyr Slash is 100% better than the blocks. I almost forgot. Have you tried holding the Light attack Button and click the Heavy attack button? This will make a Crouch Slash thanks to His Zone attack and will come from below. It will work against this guy. One of the coolest Orochi moveset. It cannot be found in the Movesets section, so in case you forgot about it, here it is. Alright, so first of all the Peacekeeper is a really fast character, she can move fast, she’s agile, I mean, both of you have the same title when it comes to counters and agileness. The only thing you need to be aware of is the Parry which she can perform by doing the Stab moveset and applying the three shots on you. This will make you bleed as you know and that’s why I prefer to keep distance between. However, in order to perform the Stab of hers, she needs to use the Guard Break. You can get rid of that easy by holding distance or just using counter Guard Break. She can also use Dashing Thrust which is not that dangerous and you can dodge it anytime. However, if you go close to her, she can faint away and use the Sidestep Strike which is one of the hardest attacks to defend against. So, a good Peacekeeper would do the following: Dashing Thrust, followed by a Sidestep Strike, followed by a Stab. If she succeeds all the way to the Stab, make sure you hold your right analog stick to the Right in order to block some of the Stabs and spam Guard Break to push her away. This might not give her the chance to Parry. Make sure you keep distance and let her use Dashing Thrust. You are Orochi and you can either dodge it or use Storm Rush right away which is going to counter her so hard! Everything else should be just Dodge followed by a Zephyr Slash and Guard Break. What differs from others, make sure you dodge her attacks towards the opposite direction where the attack comes from. No Wind Gust over here cuz the attacks are fast. Another cool fact is that you can initiate on her by doing the Lightning Strike really easy. Useful Combos: Lightning Strike or Storm Rush, followed by a Guard Break or Zephyr Slash, followed by another Guard Break with two light attacks coming from above. Then, go back, confuse her with the positioning with the right analog stick and pop an Instant Storm Rush, followed by another Guard Break. This should do the job just perfect. Even though I do not rely on these Combos that much, I cannot find anything else better against the Peacekeeper. Just make sure you dodge nicely and care from her Stab moveset and everything will be good. So, you might just want to care from their Shove combo. They can be really annoying if their combo goes away. This is where your Zephyr Slash comes strong. Players start to really understand this game so make sure you avoid Parry. If he gets that, he might get the unblockable and then it’s bad for you. But, however, your zephyr slash should save you from that too. Nothing else to say. Just make sure you dodge and use Zephyr Slash. The class with the longest sword in the game which can make you suffer really hard. I definitely hate them a lot, but we’ll manage to win over them somehow. Alright, so there is a lot of things you need to be careful when you fight against this class. 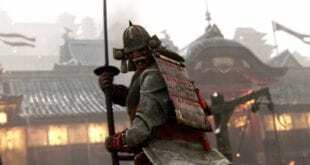 The Kensei have Unblockable chain attacks that really hurt. Every chain attack he performs can be followed by top Finisher Unblockable, therefore you should not let that happen. Also, most of the good players Feint the unblockable and they transform it into a Guardbreak. Open your eyes for that too. What you want to do against him is block or at least focus dodging towards the side the attack comes from. The tricky part is that when he does the dodge attack, the attack comes from the opposite side. So open your eyes on the incoming attacks. Keep in mind that his Guard Break, Swift Strike and Helm Spitter can initiate chains. This will probably finish with a top Unblockable finisher is which can also be canceled and used as a side attack finisher. So keep that in mind too, your only chance to save yourself is to dodge away that attack. Otherwise, you will be doomed. Basically said, do not let him to chain 2 attacks at all. That’s why I said blocking would be a better option since the Dodge against this guy can be hard. Initiate with Lightning Strike, see his reactions, if he blocks it, continue towards the usage of the Zephyr Slash by dodging to the side he attacks (if he does). After the Zephyr Slash, make distance really carefully and try to perform a move like Storm Rush or Lightning Strike again. Try to fake Storm Rush with the feint button too, see reactions again. Before using the Storm Rush, make sure you confuse him by moving the right analog stick towards left or right couple of times, and then instantly use the Storm rush. This is proved to work since I’ve tried it against a lot of players. Another cool thing to do is using your Guard Break against him. A lot of Kensei players seems to focus more towards the Unblockable combos instead of the Guard Break. After you Guard Break, use the 2 fast attacks from above, snap-snap. It should be easy for you. Useful Combos: Do not know what would be the best combo movesets to use, but using the Lightning Strike into a fast Storm Rush (with a pause) and a Guard Break could be a nice option. If that doesn’t work try doing the Storm Rush (a fast one without a pause) Instead of the Lightning Strike and if he prefers to go close to you just make sure you use Riptide Strike. For some reason, your Riptide Strike is a lot faster than his top Light or Heavy attack. So you’re cool here. I mean, Orochi vs Orochi does not look good at all, but let’s just say that every single Orochi player focuses a lot on using the Storm Rush as it is really cool. Dodge. Just Dodge. That should be your aim against this class. Nothing else. I mean, since you are reading this you’re probably playing the Orochi so you already know what exactly to do against another Orochi player. Just make sure when you dodge you do that towards the side of the incoming attack so you can get an easy Wind Gust shot. It will be really annoying because against the Orochi you can get thousands of those as their attacks come fast. Another cool fact is that Using the Guard Break on this guide followed by a Heavy attack instead of the two fast attacks might be cool. Make sure you get the heavy from above while holding UP. It will deal more damage than the two light attacks. Useful Combos: Lightning Strike into an immediate Storm Rush, followed by a Guard Break Followed by a Riptide Strike. Then, a Zephyr Slash followed by a Guardbreak would do just nice. Go back, re-initiate. Instead of the Lightning Strike try the same with the Storm Rush too. Keep in mind that you can use the Storm rush to counter his Storm rush. So whenever he performs a Storm Rush, make sure you use yours instantly without holding it for too long. Fast hands is all you need. Follow this guide and you should be alright! Hope it helps! It’s all about the timing when it comes down to Orochi. Guardbreak tips: If you miss an attack and he Guarbreaks you, you cannot counter the Guardbreak. That’s why using the Storm Rush against the Orochi works good. This is where your top light attacks comes to live. Shugoku and his passive Uninterruptible can be easily destroyed from the Orochi. However, you need only to take care of his Charging Unblockable because 2 of those hits and you’re dead. Zephyr Slash is also cool option against the Shugoki. However, keep in mind that you might lose the game really fast. Try to Guardbreak or feint a heavy and then Guardbreak instantly. If you Guardbreak successfully make sure you use your Heavy, because we are talking about Shugoki. That’s all I have to say, nothing more to add. I am not planning to add useful combos because we’re talking about an update. Keep in mind you are playing Orochi and Orochi is really strong against the Shugoki class. So, you should be totally alright. Alright, one cool fact: Fighting the Spear annoys everyone in this game. The only thing you need to be aware of is the fast and chained attacks she performs. If she hits you 2 times in a row and applies the Bleed effect on you, boy you are in trouble. But, do not worry that’s why we’re here. Being a Zoner character, you assume you need to keep distance. However, I do not prefer to do that, instead, I prefer to go in front of her eyes. It’s simple, if you hold distance and she has big attack range, you are dooming yourself. Because of that, I decide to jump in her face and harass her with dodging and using the Zephyr Slash ande also trying to Guard Break as much as I can. It’s simple, if you hold distance and you try to initiate afterward, she can do Viper’s Retreat which is so annoying, if you are already close and you try to make distance she’ll make you wit the Cobra Strike. So, you are being disabled from every single perspective. That’s why I want to go in on her and harass her with my Dodge and Zephyr Slash. What is important, do not let her chain hit you at all. If she already does that just get out of the fight as fast as you can. Or, if she’s too aggressive just focus on blocking her shots until you use either Lightning Strike or Storm Rush. She has an advantage in every point of view. Remember, you are playing the Orochi class and your dodges and Zephyr Slashes will take him down. Caution: Whenever she performs the Kick, make sure you dodge it and use Zephyr Slash. You’ll be more than fine, you’ll see. I mean, fighting a Raider could be both easy and hard, depending on the player skill. I’ve met one decent Raider that was able to take some rounds from me. Raider deals really good damage and he got unblockable attack too. Make sure you dodge Raider Fury because it’s really annoying. 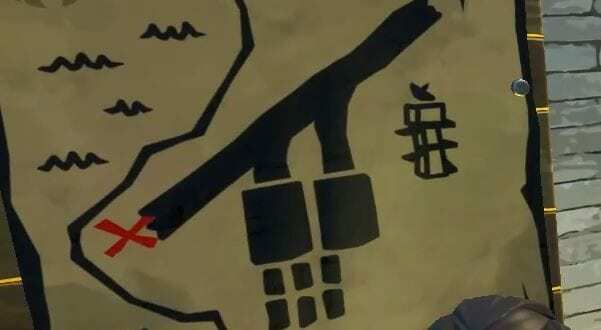 Believe me, this will be really hard for you since the weapon he owns is really long and the swing is just annoying. This guy can also charge you down and blind you, so because of that, do not stay close to a wall. If he successfully does that, then you won’t see the next incoming attack. If he’s good he will use the Unblockable one, if not, try to see the Axe closely and see from which side it comes so you can block it. Even if I do not prefer to block shots against him, instead, just harass him with dodge and Zephyr Slash or Guard Break and perform a Storm Rush. If that’s too hard for you while playing the Orochi, then I do not know what can be easier. If he charges at you, because a lot of players do that from the very beginning, try to dodge it. It’s really easy to do that and follow it with a Zephyr Slash and Guard Break. Well, another thing you is that need to be aware of is the Stampede charge and Controlled Throw. This is another reason why I choose to only dodge against the Raider. However, dodging towards the wrong side instead of the side where the attack comes from, might be really devastating for you. Sometimes even one wrong dodge may lose the fight for you. When you decide to dodge, make sure you do that a bit later so you can get the Wind Gust move. Do not go with the Hurricane Blast at all because if he hits you again, he will cancel it. I think I got that in the video below, luckily the Hurricane Blast was made successfully. Useful Combos: Lightning Strike or Storm Rush into a Zephyr Slash or Guard Break, followed by two light attacks and repeating the same. It should be really easy. Make sure before the Storm Rush you do the crazy left and right movement on the right analog stick and try to confuse him a bit :). All I know is that they really want to just spin around and hit all of those shots. Well, you know what? That might be cool while hitting creeps in Dominion, but not in 1v1. 1v1 is all about skills and that does not count as a skill. Slashing Rush is what is called and what you should be aware of. Every single player just does not know what to do when that comes. You just either need to run away or just block it. Do not try to dodge it. Another thing you need to be aware of is the Chain attacks. After he hits the fourth one, every single one that comes after will cost less stamina and will become Uninterruptible. Good for him. 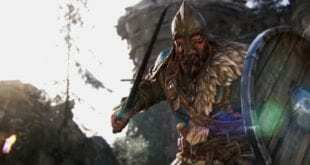 Another thing is that you should be using your skills against the Berserker more than the normal attacks because if he deflects an attack he can turn that into an even faster attack speed, and take you down. They will come really close to you because they have such a low attack range. This should be your advantage. Whenever he perform Head Slicer, make sure you dodge that thing off. Otherwise, there will be more incoming attacks. Useful Combos: Storm Rush followed by a Guard Break, followed by 2 light attacks, followed by Riptide Strike. If Riptide Strike is not working, try getting Storm Rush again into a Guard Break. Go back, re-initiate starting with Lightning Strike or Storm Rush and perform the same. Make sure you always dodge towards the side of her incoming attack. Yes, The Warlords might have Unblockables like Shield Counter and Headbutt, but they do not have Undodgeable. This means that you will make that guy go crazy with your dodges. That’s the only thing you need to be aware of. Also, his light and heavy attacks come really strange at you so be careful for that. Do not dodge it too late or too early, instead, try to block it. Also, care for his Headsplitter Leap Alternate. What you need to do against this guy is pretty simple. Because he owns a Full Stance mode, wait for him to activate it, after that, try to go close to him and use your Guard Break. Do not try to hit him while it’s in Full Stance mode because he can attack you right away after the block. After the Guard Break, hit him two times with light attacks, holding RAS and LAS towards up and click Light attack button two times. Then. use Zephyr Slash Into a Guard Break and clap him two times again. It’s that simple. I do not want to speak about combos against this guy… just because it should be easy for you to manage it. That’s all you need to do actually. Do not try anything fancy because you might be laying down on the ground. Oh, also, take care of the Crashing Charge too. It’s easy to dodge it, remember that you are an Orochi player :). Or, try to use the Storm Rush when he does that. It’s easy. You will be alright against every single Warlord player. Just make sure you dodge their Pounce and make sure you do not receive two Light Attacks. If she initiates two light attacks she can perform the Spear Sweep which is going to put you on the ground. Then, a heavy attack might follow, Shield Crush and another Spear Sweep. This is where you get destroyed. However, The Orochi is really strong against the Valkyrie so you should be alright. Your Zephyr Slash is a really strong option and you should be destroying her. Do not try to Parry her Light Attacks because they are really fast , so you might fail. Just make sure you block and counter the moves she does. Also, as soon as you think she will do the Spear Sweep, make sure you dodge either sideways into a Zephyr Slash or just move back so the Spear Sweep won’t get you at all. This does not require a lot of skills, but since you have a really good movement speed you should be focusing on getting points. If someone comes to you you can easily use the guide above to kill him. If they are two, run away! You might want to kill them both but instead of that try to get 1 off the point. Split them up and kill the first one than go for the second one. That’s all you need to do. Dominion does not require a lot of skills. It requires only good items so you can make nice build. This will be made from us a little bit later in another article. Or, maybe we gonna update this one. However, we’ll see what happens. I guess that’s it. Below, you can see the video we’ve been uploading it during the writing of this article. Luckily, we got it just in time before the finish of the guide. I hope you’ll enjoy the video and this guide! Appreciate my hard work just a little bit. You can see a lot of fights against different classes. Somehow we managed not to lose a single fight. I hope that this will also make you love the Orochi class even more. Now, let’s go back in the game and give the Orochi a little bit more Honor before we start writing guides for some other For Honor’s Class. It’s not actually a Video Guide, but it’s a gameplay of ours fighting the way to the Master Orochi Title while also having a lot of fun! Make sure you read the guide for every single class. After this Orochi guide, I think about playing the Berserker. However, If you want something else, you can tell me in the comments down below. Also, do not forget to tell me if I missed something. I will check that out and if it’s true, I will update the article right away. One last thing: Guys, please, do not Judge, we are really trying to do our best in developing these For Honor Guides. They are also being updated all the time as we proceed in the game. If you think you need to judge instead of giving your thoughts on what should we change in these Guides… then, we honestly don’t know what to say.